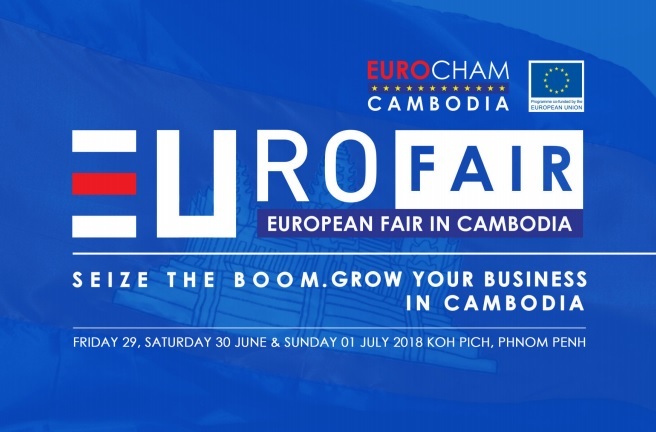 EuroCham Cambodia proudly introduces the very first edition of its European Fair in Cambodia, aimed at awareness about European know-how and quality and capture more market shares. The exhibition will be held on Friday 29, Saturday 30 June and Sunday 1 July 2018 at the most renowned exhibition center in Cambodia, Diamond Island, Phnom Penh. This multisectorial B2C fair welcomes all European companies and brands already established in Cambodia, as well Finnish companies/brands being active in Hong Kong and looking for expansion in the region.